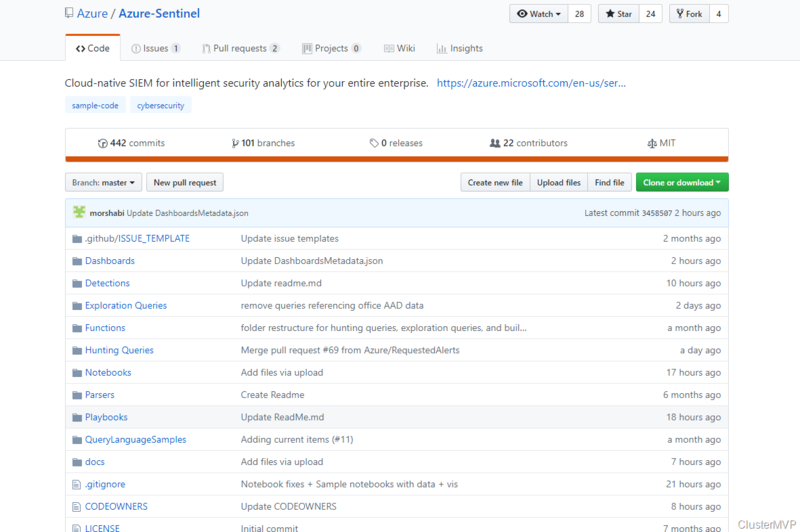 Azure Sentinel is Microsoft’s cloud-native SIEM that provides intelligent security analytics for your entire enterprise at cloud scale. 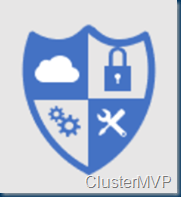 This SIEM as a Service (SIEMaaS) solution is designed as a cloud-based security-monitoring platform that leverages the power of the cloud for analytics and detections. 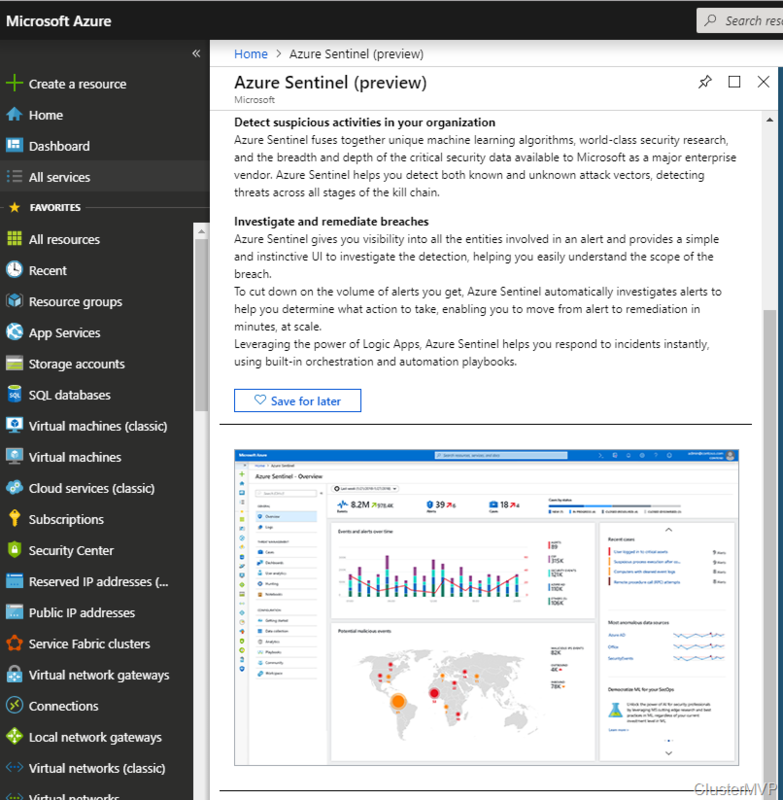 Azure Sentinel is the first SIEM built into a public cloud platform to help your security analysts focus on what really matters. 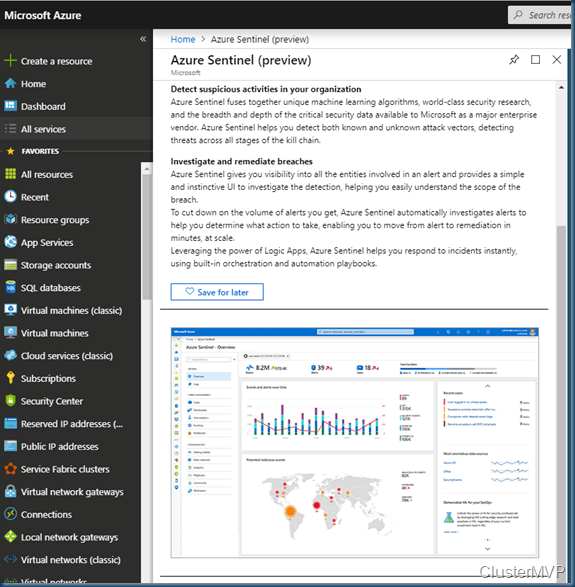 Azure Sentinel provides simple and easy integration with signals and intelligence from security solutions whether they are on premises, in Azure, or in other clouds. 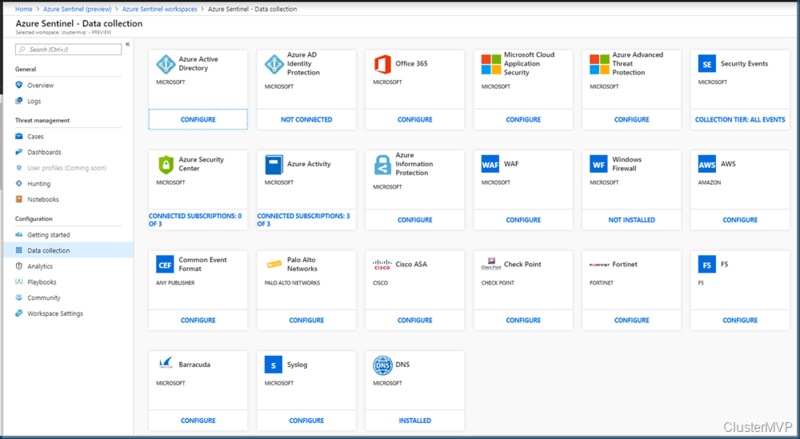 Azure Sentinel provides seamless integration with Microsoft 365, Azure, and other Microsoft products, including Microsoft’s security products. 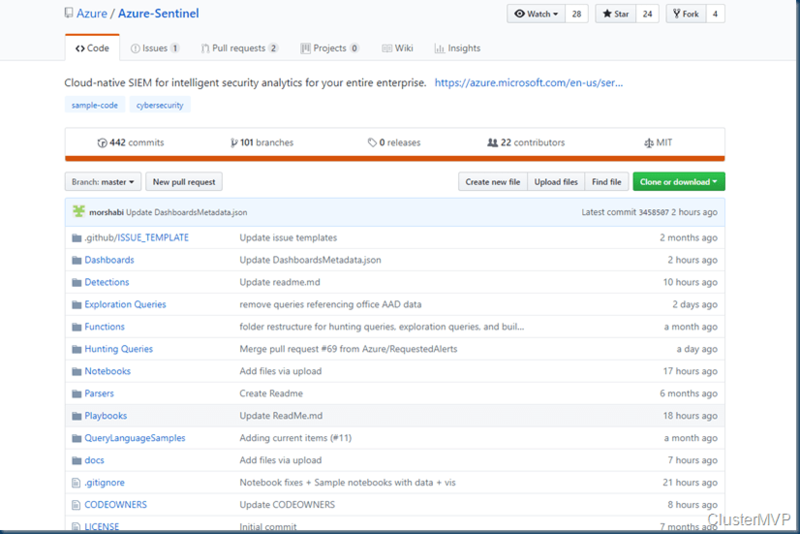 Azure Sentinel fuses together unique machine learning algorithms, world-class security research, and the breadth and depth of the critical security data available to Microsoft as a major enterprise vendor. 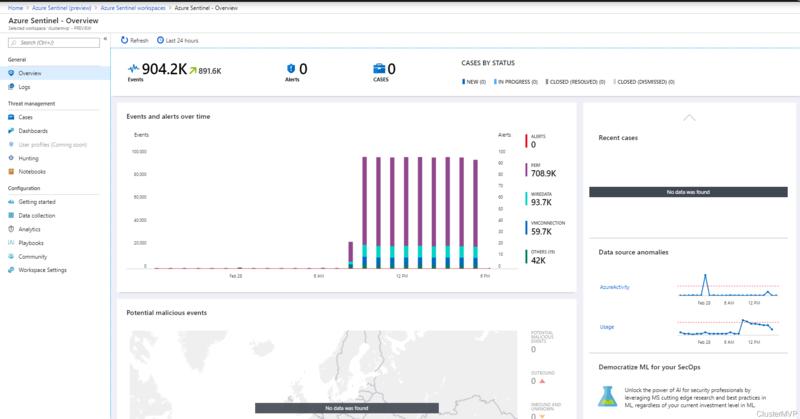 Azure Sentinel helps you detect both known and unknown attack vectors, detecting threats across all stages of the kill chain. 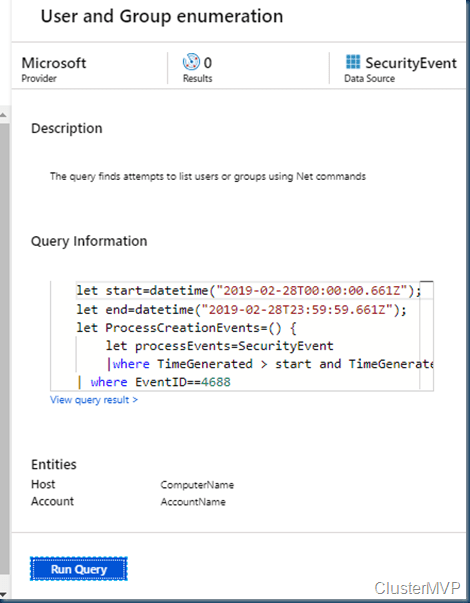 Azure Sentinel gives you visibility into all the entities involved in an alert and provides a simple and instinctive UI to investigate the detection, helping you easily understand the scope of the breach. 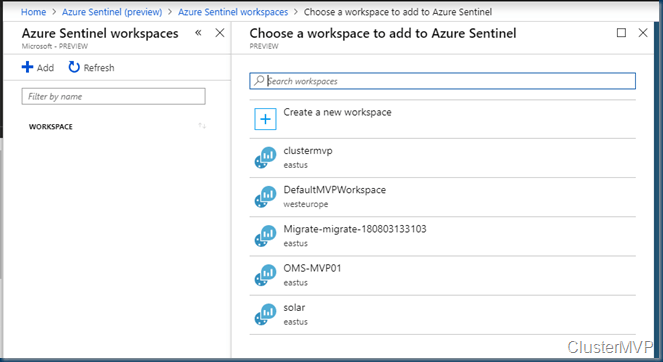 To cut down on the volume of alerts you get, Azure Sentinel automatically investigates alerts to help you determine what action to take, enabling you to move from alert to remediation in minutes, at scale. 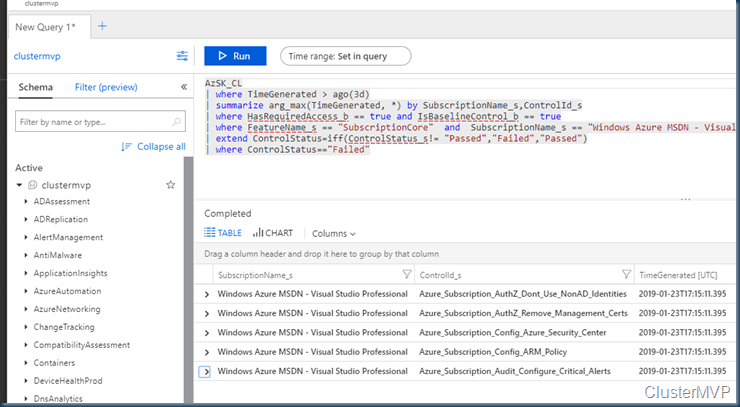 Leveraging the power of Logic Apps, Azure Sentinel helps you respond to incidents instantly, using built-in orchestration and automation playbooks. 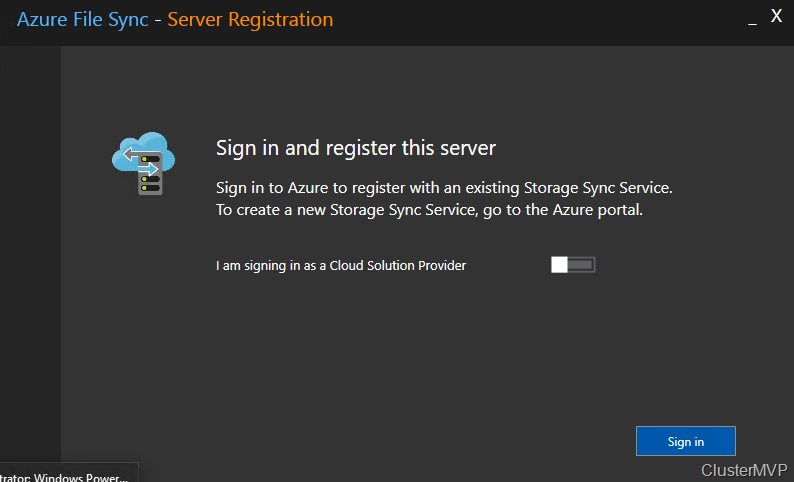 Joining the Preview program give you the enable option and you will need some configuration in the Azure portal. Overall a great overview in the new dash boarding. one thing is I need more screens to show all this. 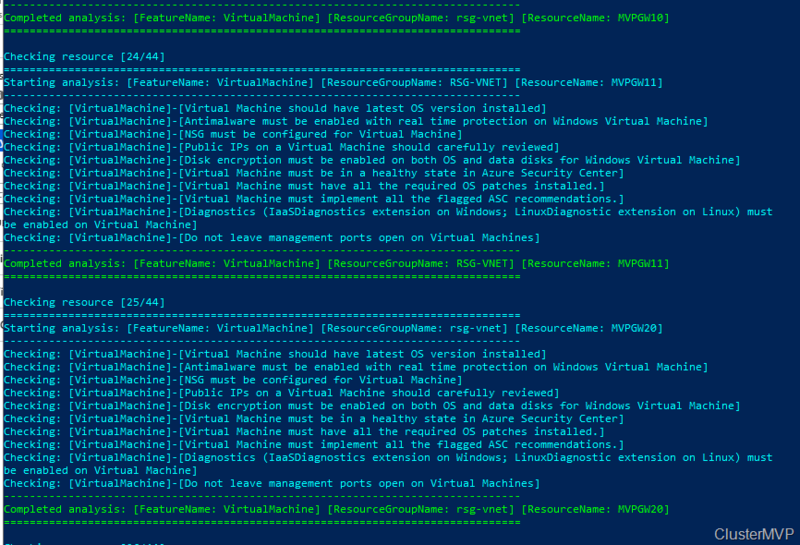 I’ll pick my current one as all my VM’s are reporting into this. 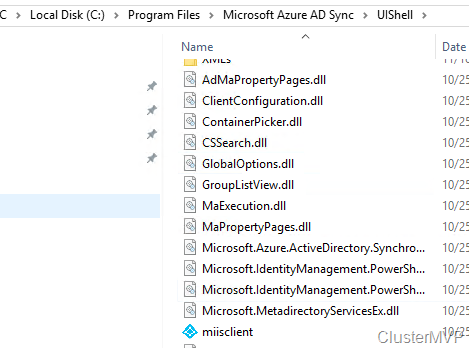 Now we can install the add-on for data collection, there is already a big list. 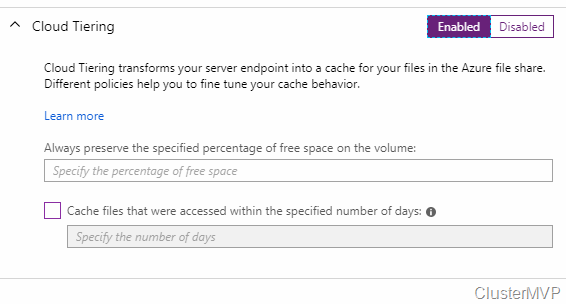 I think this is a grate feature the “hunting” predefined query’s ready to run and adjustable to your need. 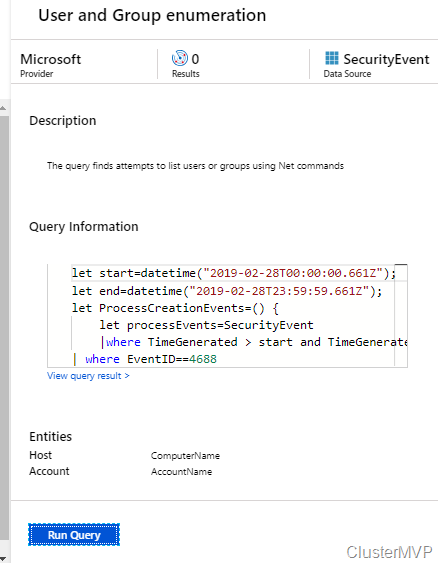 Reuse the custom query, for better adjustment in your site. 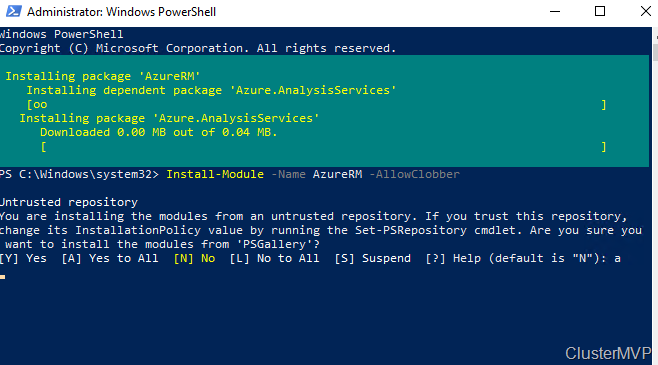 Azure Notebooks is a free hosted service to develop and run Jupyter notebooks in the cloud with no installation. 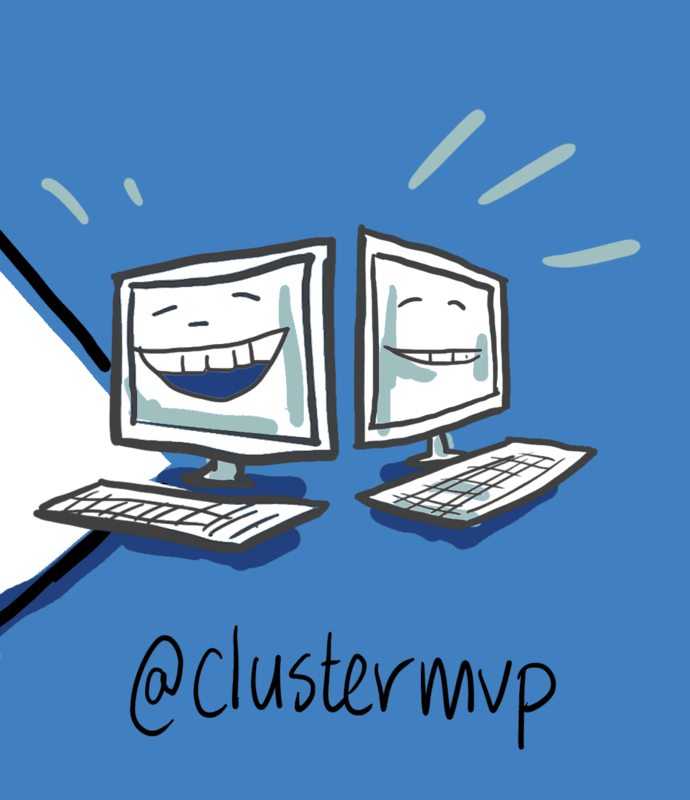 Jupyter is an open source project that lets you easily combine markdown text, executable code (Python, R, and F#), persistent data, graphics, and visualizations onto a single, sharable canvas called a notebook. 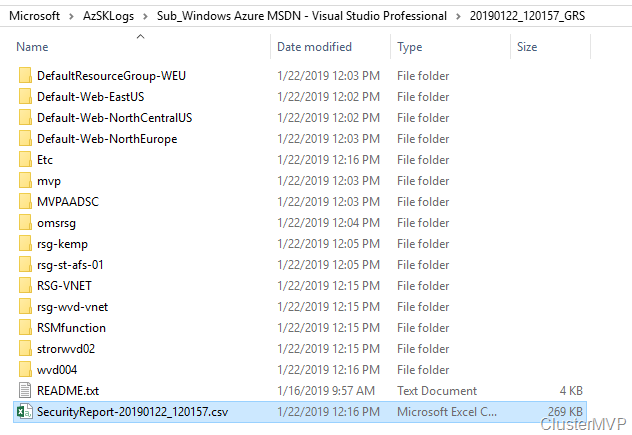 How do Azure Notebooks work? 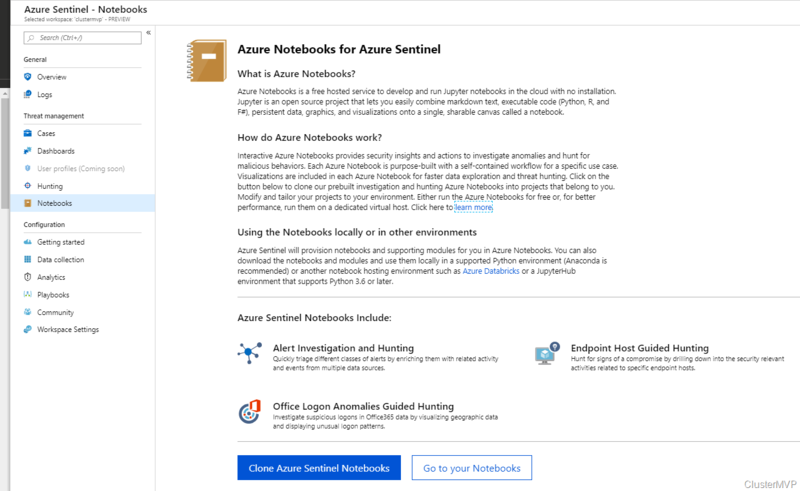 Interactive Azure Notebooks provides security insights and actions to investigate anomalies and hunt for malicious behaviors. 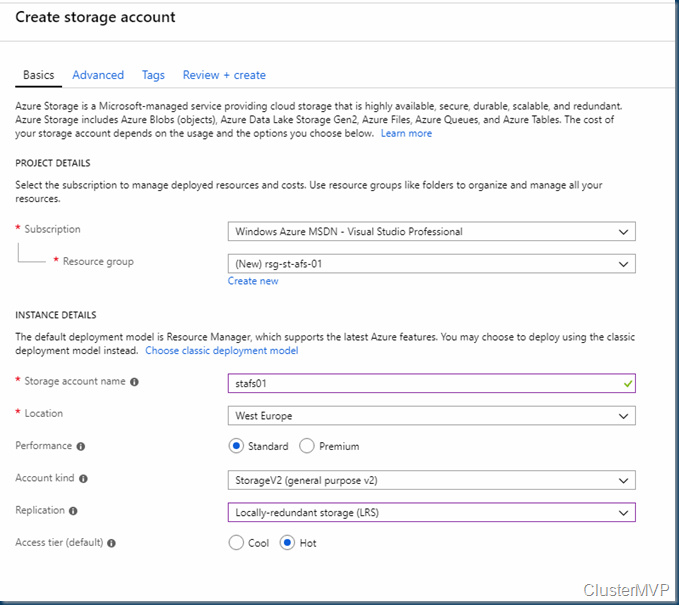 Each Azure Notebook is purpose-built with a self-contained workflow for a specific use case. 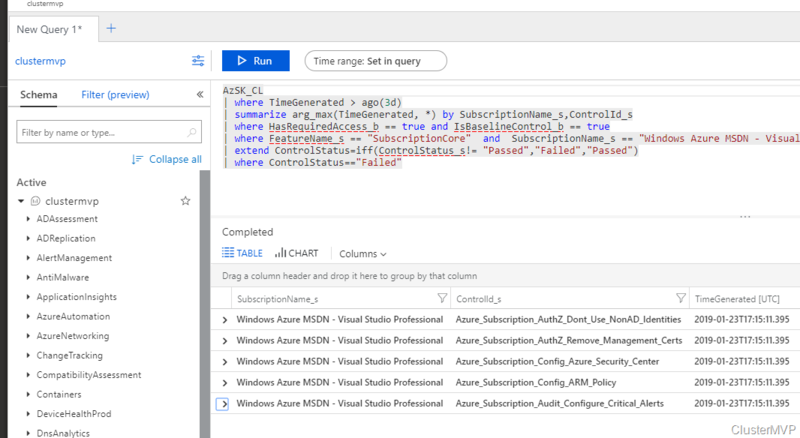 Visualizations are included in each Azure Notebook for faster data exploration and threat hunting. 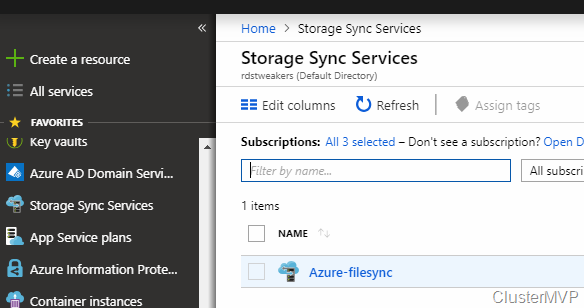 Click on the button below to clone our prebuilt investigation and hunting Azure Notebooks into projects that belong to you. 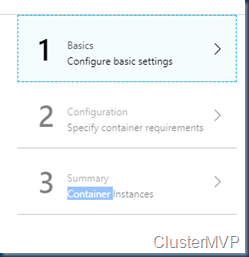 Modify and tailor your projects to your environment. 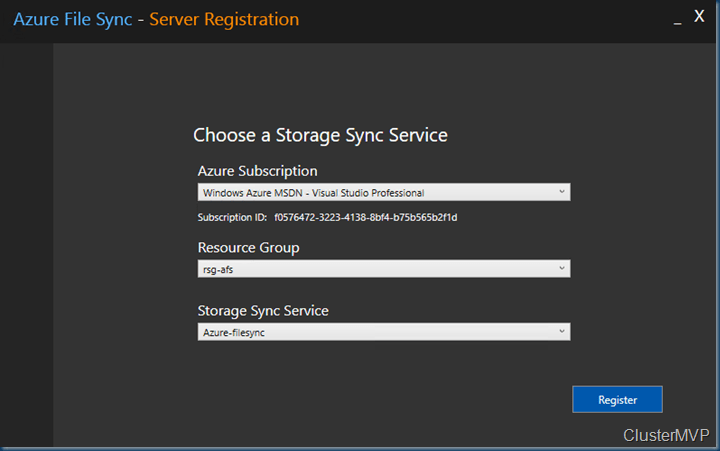 Either run the Azure Notebooks for free or, for better performance, run them on a dedicated virtual host. Click here to learn more. 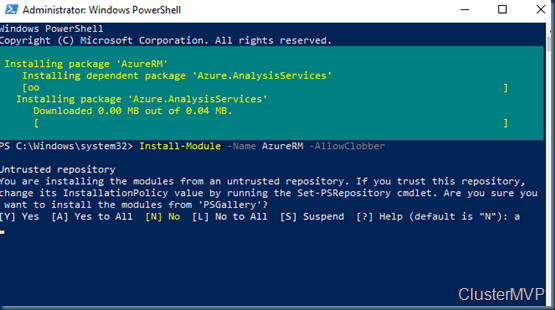 Azure Sentinel will provision notebooks and supporting modules for you in Azure Notebooks. 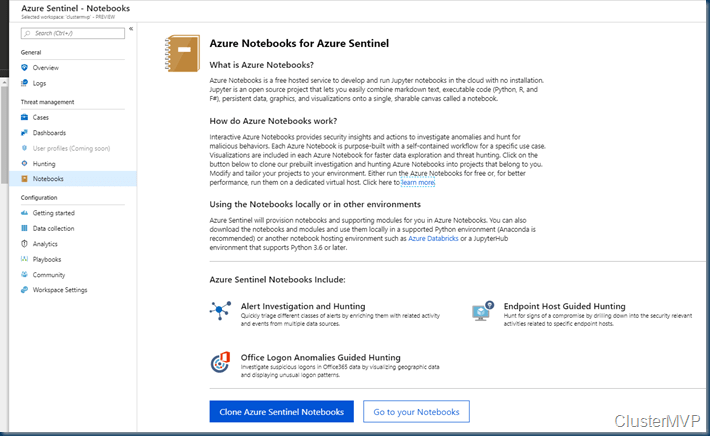 You can also download the notebooks and modules and use them locally in a supported Python environment (Anaconda is recommended) or another notebook hosting environment such as Azure Databricks or a JupyterHub environment that supports Python 3.6 or later. 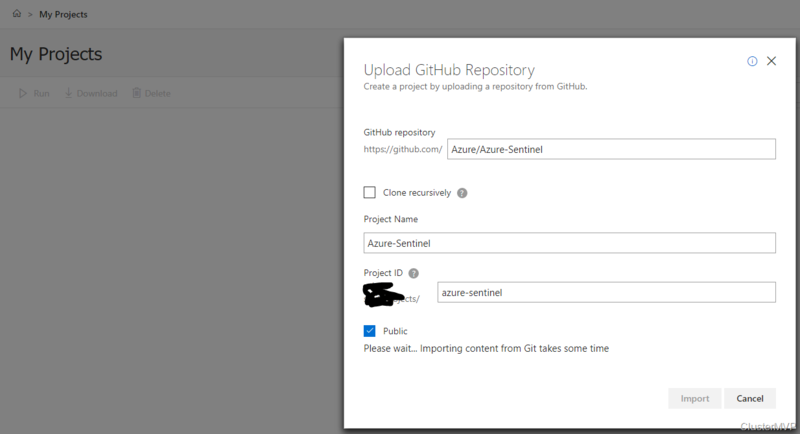 With the import a copy will be made from the Github to your own repository to get you started. 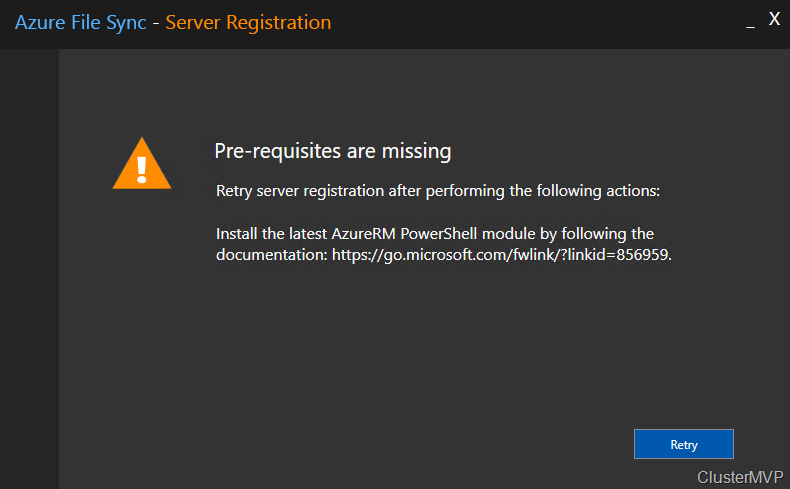 this take some time after this the project page is opening for you. Checking the Logs in the Azure Sentinel will give you a nice dashboard with all the content. I have limited amount of data in this so no big lines or exceptions. 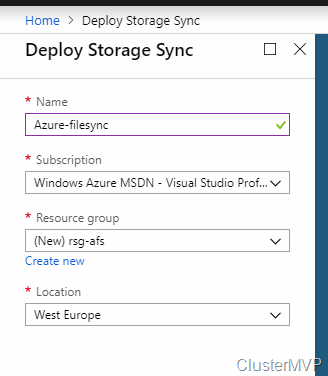 Some are based on multiple pages, big screens are needed or smaller fonts but overall this is a nice addition to the Azure Family. Azure Sentinel will take some time to get this running and configuring but once there is data you will see a very nice new tool that can help you to solve your problems in Azure better an quickly. See and stop threats before they cause harm, with SIEM reinvented for a modern world. 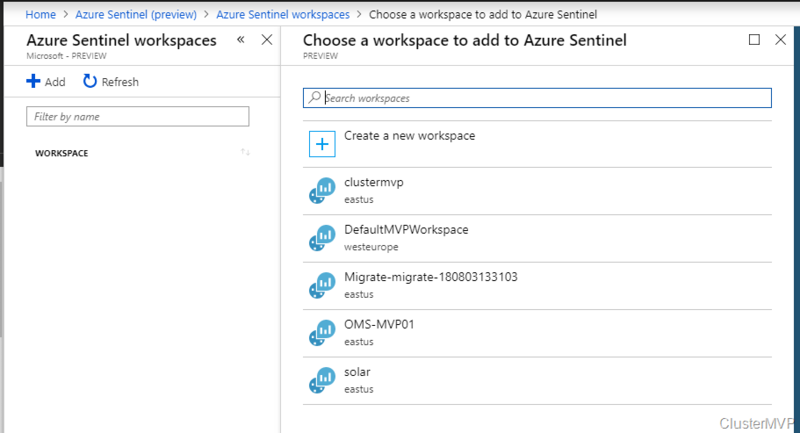 Azure Sentinel is your birds-eye view across the enterprise. Put the cloud and large-scale intelligence from decades of Microsoft security experience to work. 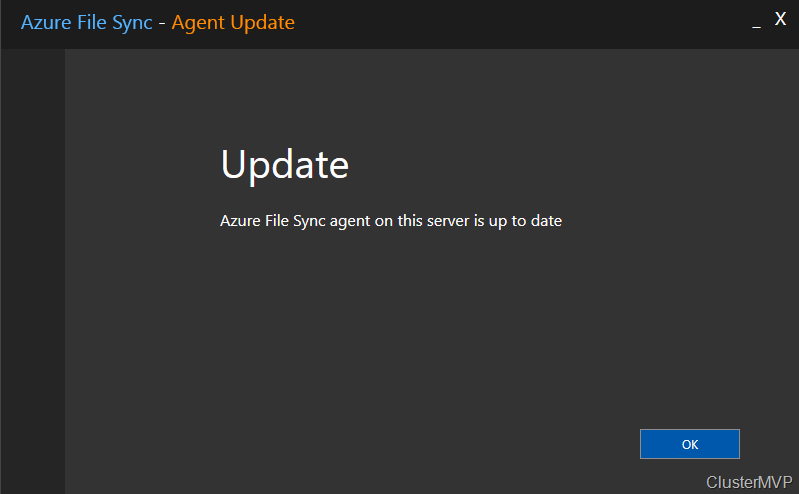 Make your threat detection and response smarter and faster with artificial intelligence (AI). 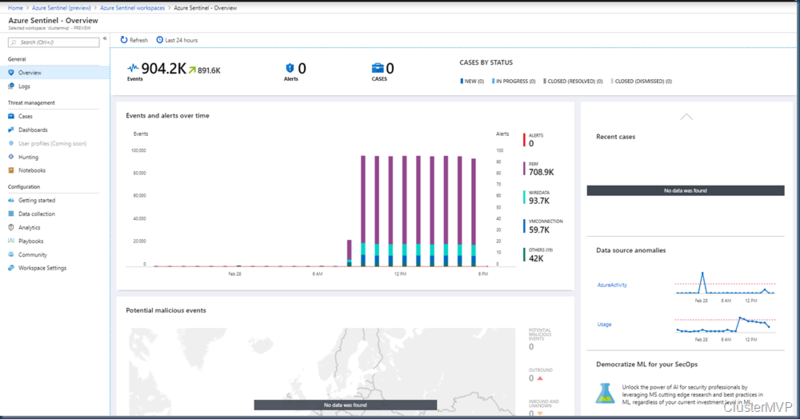 Eliminate security infrastructure setup and maintenance, and elastically scale to meet your security needs—while reducing IT costs. 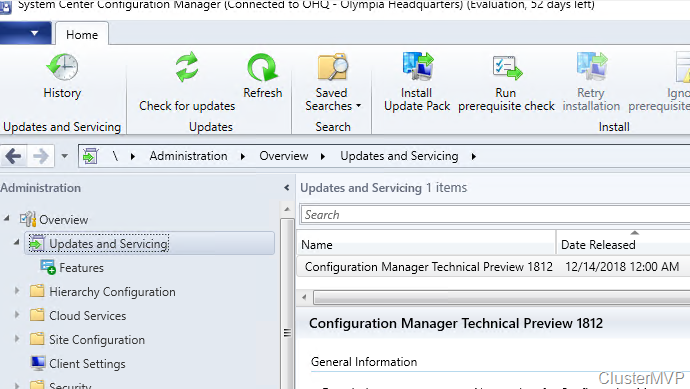 Olympia V2 is the next step for enabling Windows Insiders to try new and pre-release Windows 10 Enterprise features. 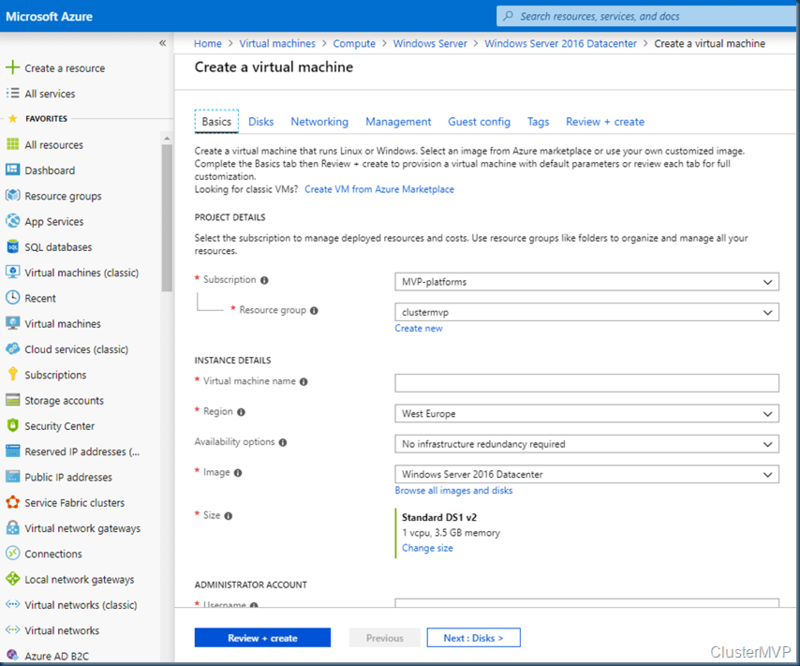 Windows Insider Lab for Enterprise v2 provides a complete Microsoft 365 deployment and management testing environment that can be run directly on your own machines. 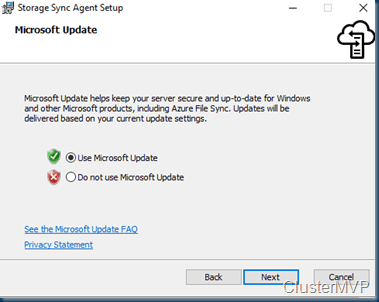 The lab features both client and administrative functionality, including System Center Configuration Manager Preview plus connectivity to Office 365 and Enterprise Mobility Security evaluation trials. 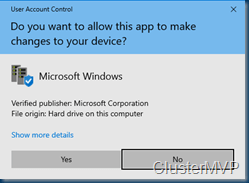 Customers can also add the latest Windows 10 Insider Preview Enterprise build to the lab. 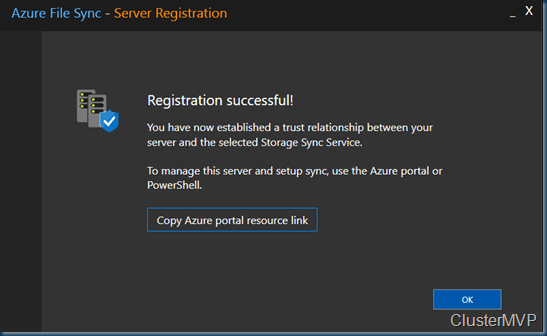 This is a great lab toolkit, to start with the new features. It is easy to setup with a great learning curve. 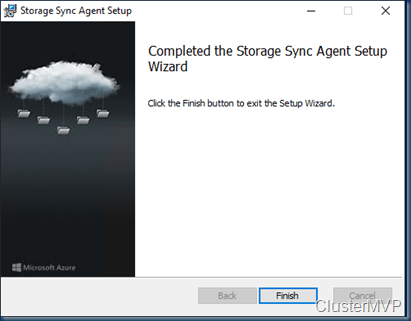 Plenty of room in the Windows Server 2019 Hyper-v server with Storage Spaces direct. The Gateway will route all the data to internet. In the Azure Active directory we set some custom pictures. Next step is use SCCM and Intune to manage your systems. This lab is perfect for showing all the options. The Setup is Complete and ready to use, this lab is a great way to self explore the new features. This guide is designed to provide step-by-step guidance in demonstrating the basic functionality of the feature. 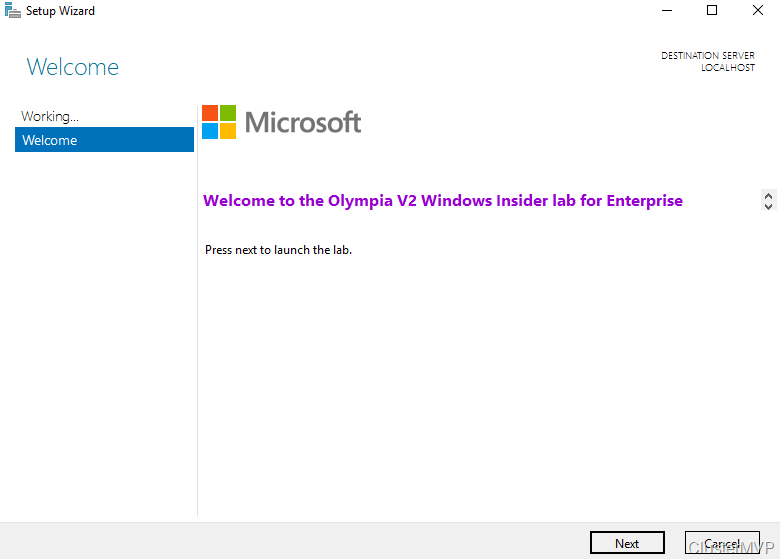 · Windows Insider Lab for Enterprise v1 – provides a client-side view of the latest Microsoft 365 enterprise features through access to Olympia Corp – a virtual corporation has been set up to reflect the IT infrastructure of real world business. 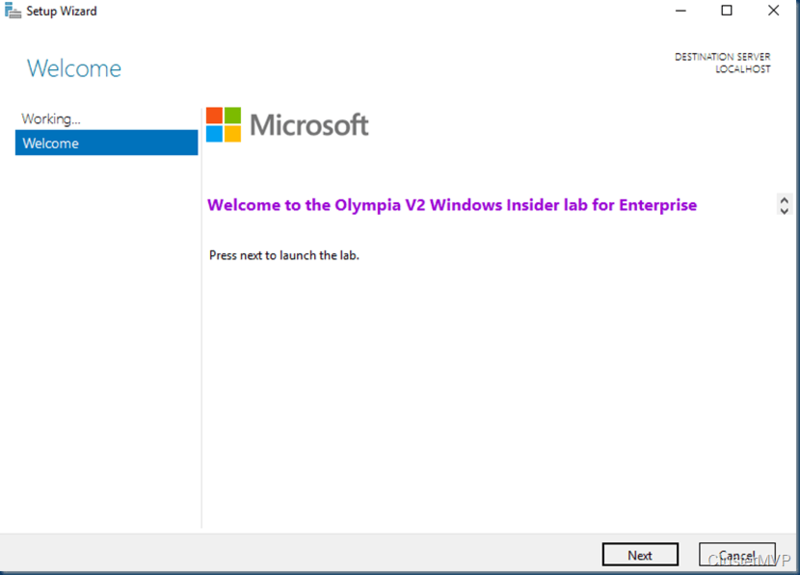 · Windows Insider Lab for Enterprise v2 – provides a complete Microsoft 365 deployment and management testing environment that can be run directly on your own machines. 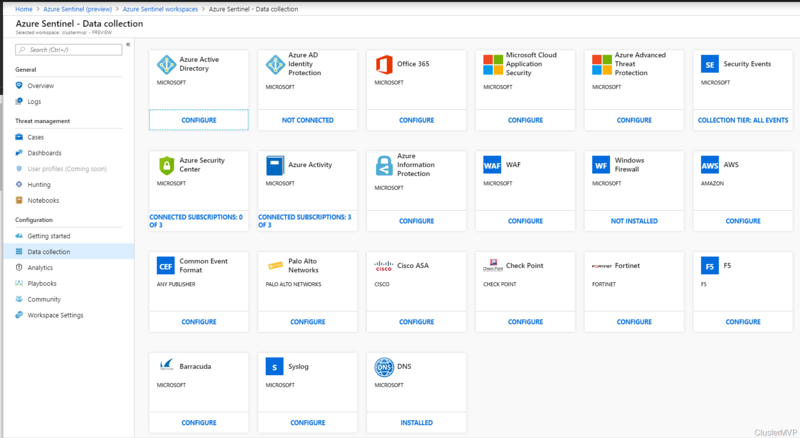 The lab features both client and administrative functionality, including System Center Configuration Manager Preview plus connectivity to Office 365 and Enterprise Mobility + Security evaluation trials. 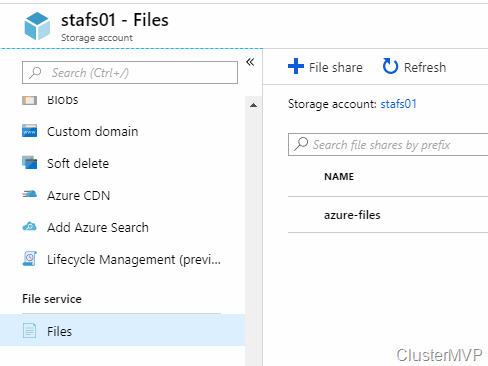 I created a File share on a Cluster to make the share HA. This is more the traditional way to make the share HA. But what if you have multiple locations and you want to use this share in Azure. 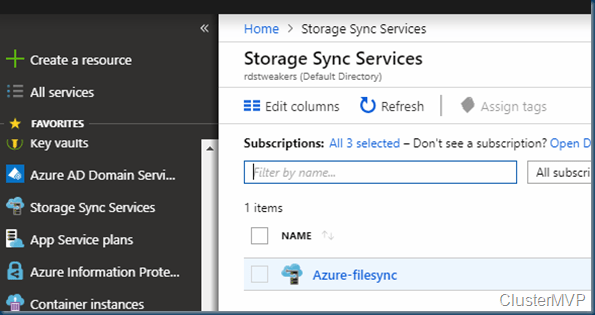 Big internal lines between the Datacenter and copy the files to Azure (DFS) method. but that’s old. 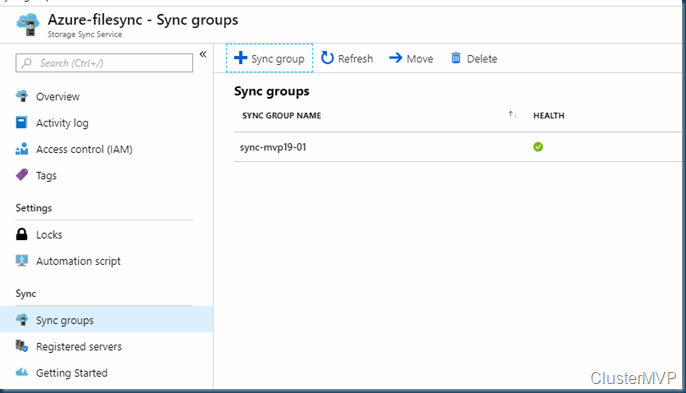 Better use the Azure File Sync option the files are synced to all the Server and available in Azure. Better and faster. 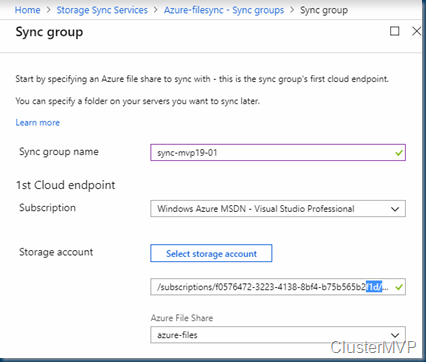 Windows Server Failover Clustering is supported by Azure File Sync for the "File Server for general use" deployment option. 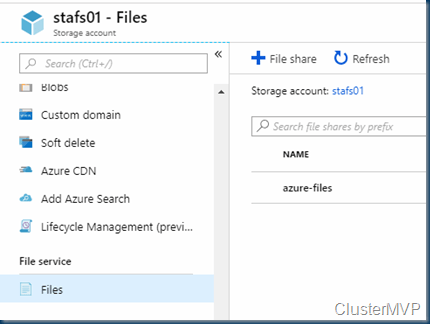 Failover Clustering is not supported on "Scale-Out File Server for application data" (SOFS) or on Clustered Shared Volumes (CSVs). 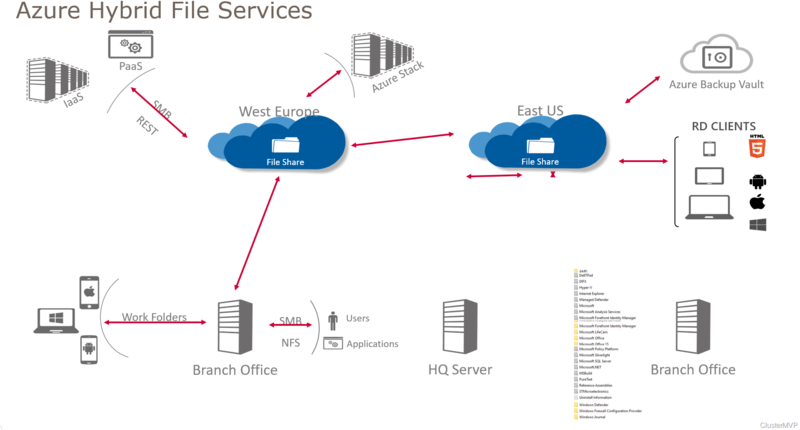 Distributed denial of service (DDoS) attacks are some of the largest availability and security concerns facing customers that are moving their applications to the cloud. 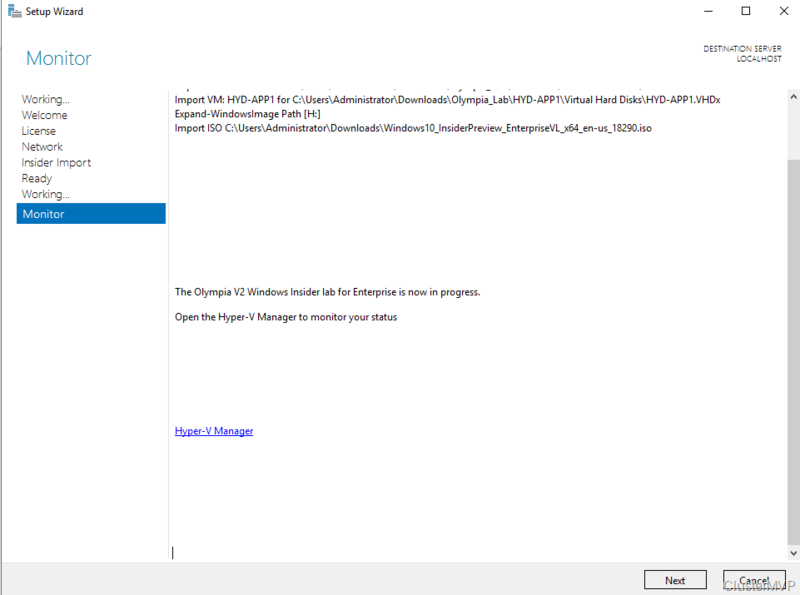 A DDoS attack attempts to exhaust an application’s resources, making the application unavailable to legitimate users. DDoS attacks can be targeted at any endpoint that is publicly reachable through the internet. 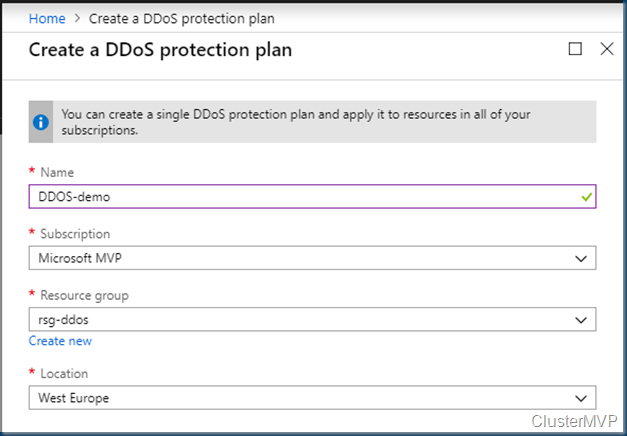 What is DDoS Protection? 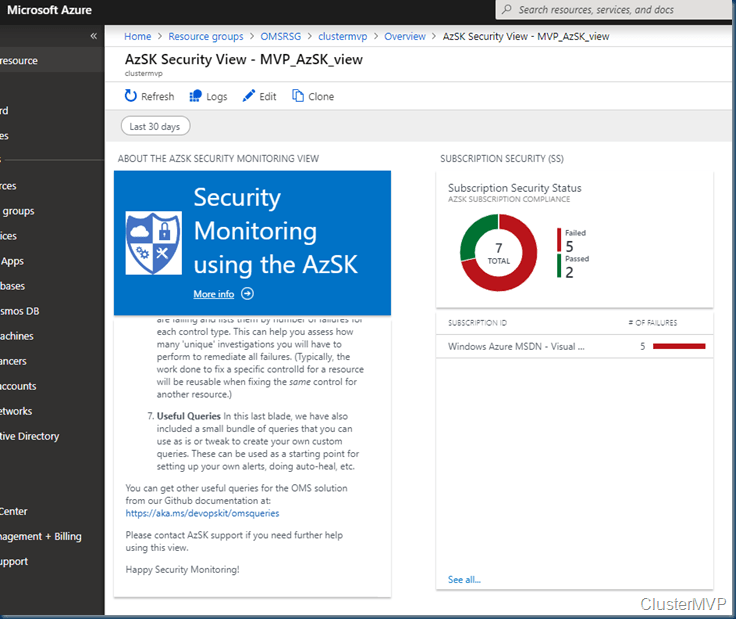 Protecting applications from DDoS attacks has been one of the top security concerns for Azure customers. 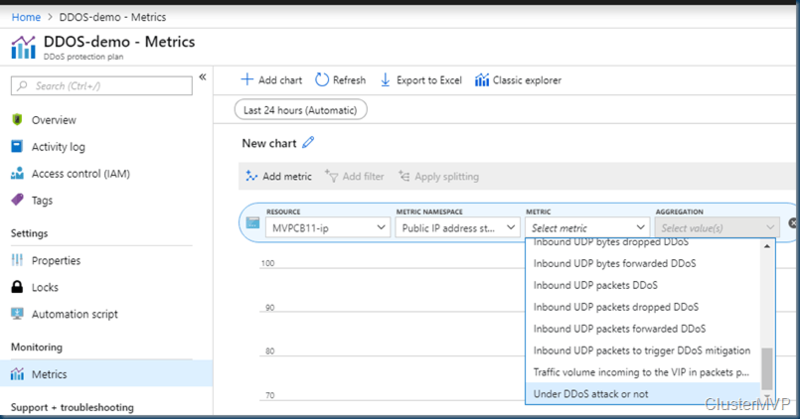 Azure DDoS protection service is an Azure Networking offering aimed at protecting publicly accessible endpoints from DDoS attacks. 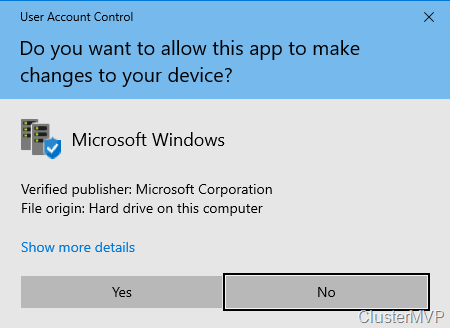 The offering gives customers access to the same protection that is used to protect Microsoft’s online assets, such as Xbox Live and Office 365. 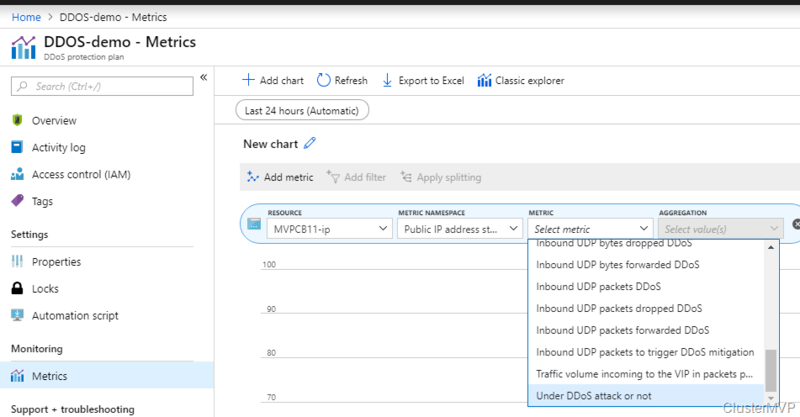 Azure DDoS protection service provides constant network flow monitoring of the protected endpoints, and when detecting a DDoS attack, automatically applies traffic scrubbing to make sure only legitimate requests are forwarded to the application. 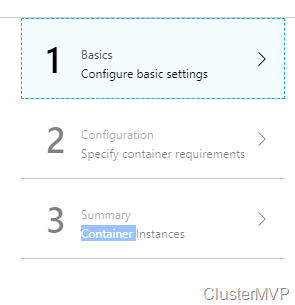 Basic: Automatically enabled as part of the Azure platform. Always-on traffic monitoring, and real-time mitigation of common network-level attacks, provide the same defenses utilized by Microsoft’s online services. 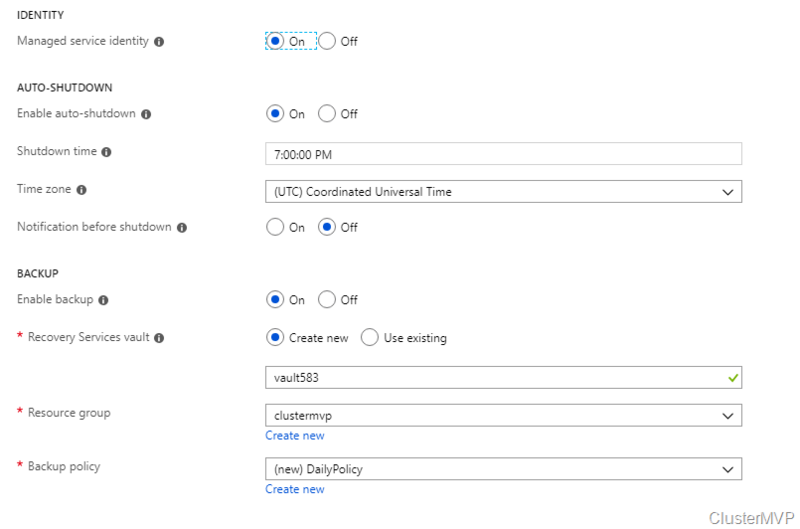 The entire scale of Azure’s global network can be used to distribute and mitigate attack traffic across regions. 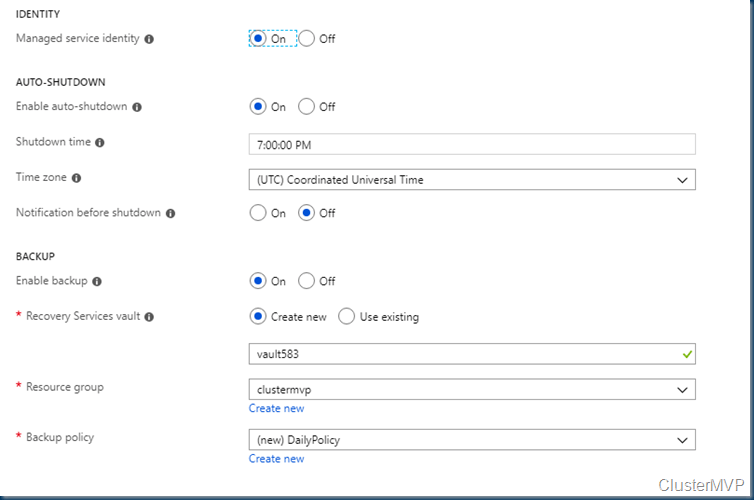 Protection is provided for IPv4 and IPv6 Azure public IP addresses. 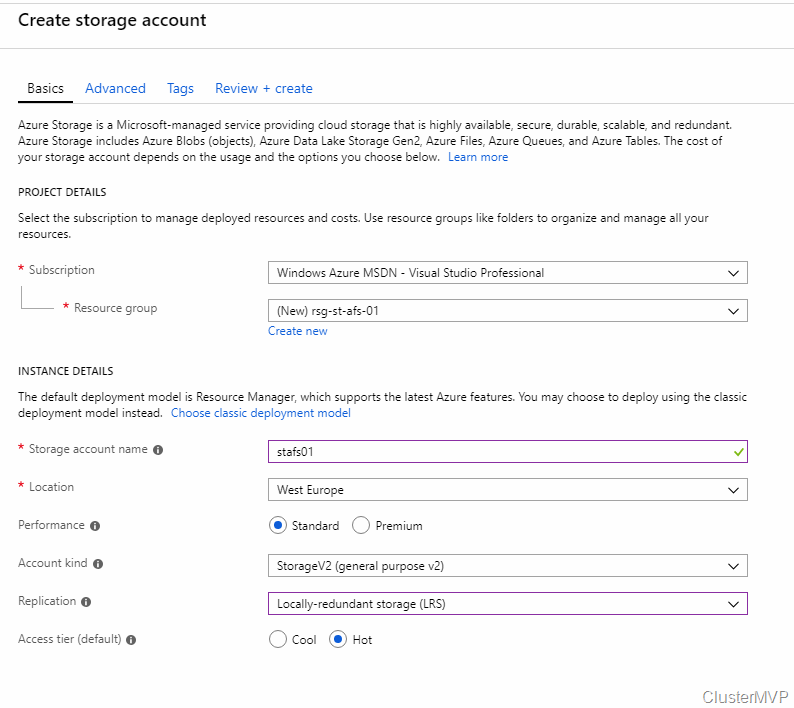 Standard: Provides additional mitigation capabilities over the Basic service tier that are tuned specifically to Azure Virtual Network resources. 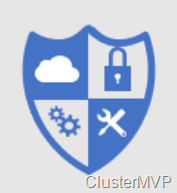 DDoS Protection Standard is simple to enable, and requires no application changes. 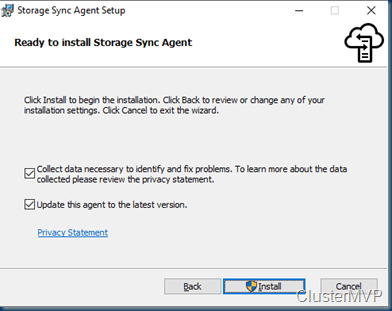 Protection policies are tuned through dedicated traffic monitoring and machine learning algorithms. 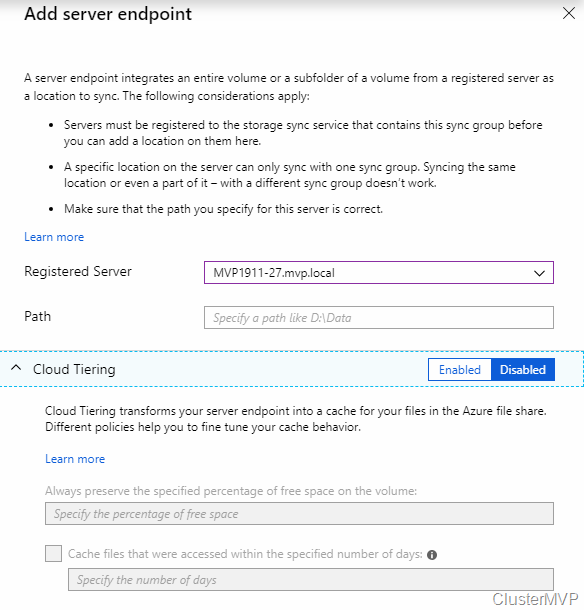 Policies are applied to public IP addresses associated to resources deployed in virtual networks, such as Azure Load Balancer, Azure Application Gateway, and Azure Service Fabric instances, but this protection does not apply to App Service Environments. 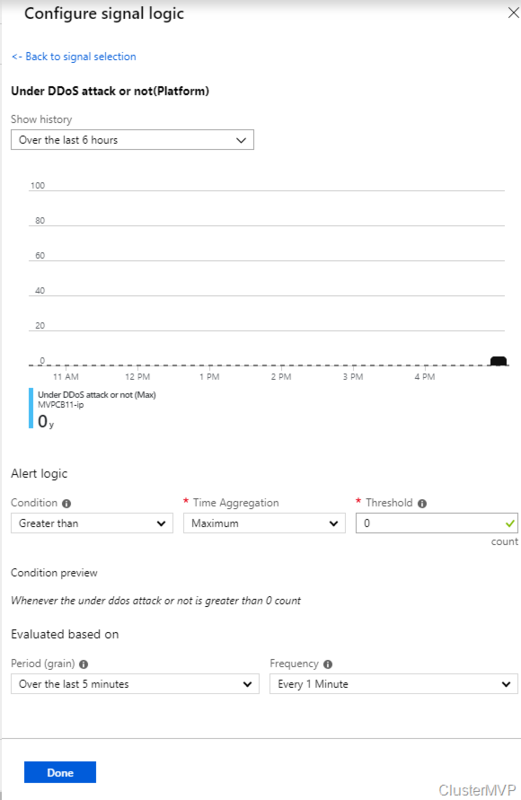 Real-time telemetry is available through Azure Monitor views during an attack, and for history. Rich attack mitigation analytics are available via diagnostic settings. 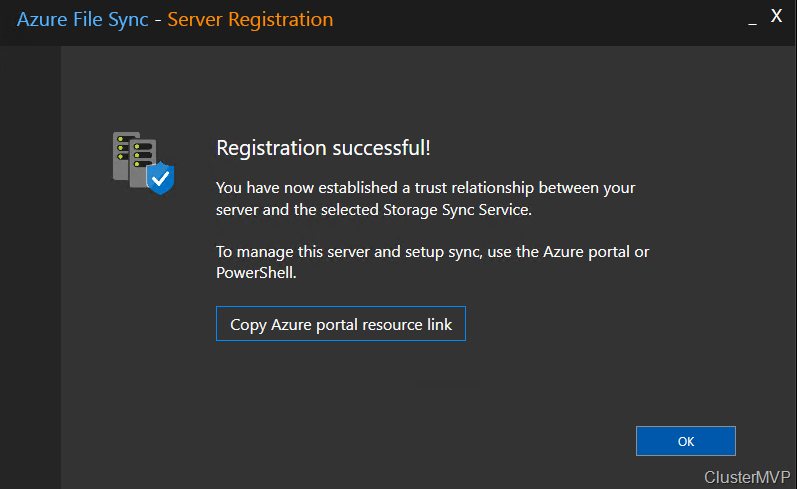 Application layer protection can be added through the Azure Application Gateway Web Application Firewall or by installing a 3rd party firewall from Azure Marketplace. 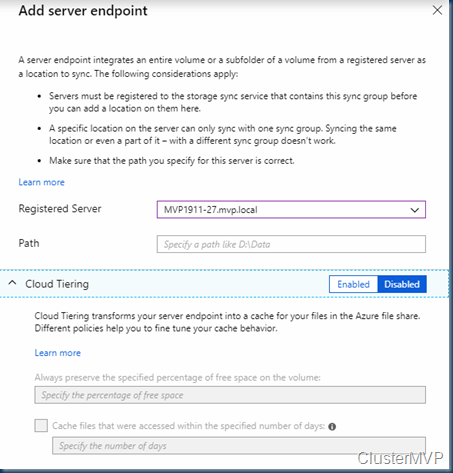 Protection is provided for IPv4 Azure public IP addresses. 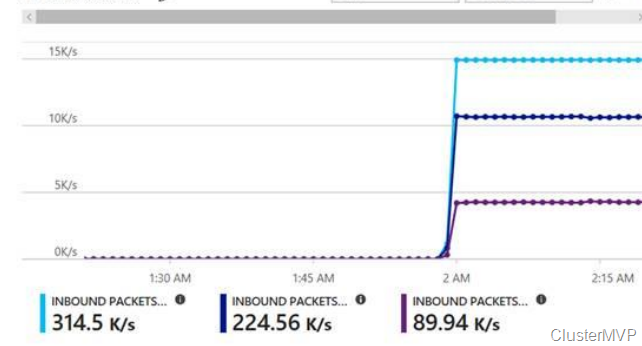 So how to start with DDoS in Azure. 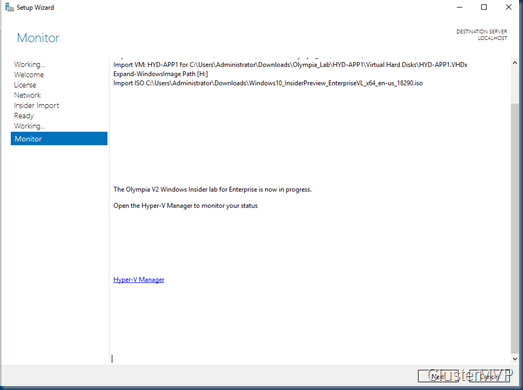 First go to the Virtual Networks. 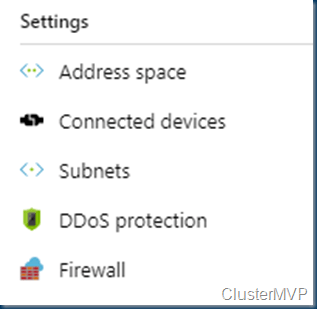 Next selecting the Network and in the left pane there is a section DDoS Protection. There the Basic is the default and comes with free pricing. The Standard is a different option and Cost you some real money! and these are monthly costs. 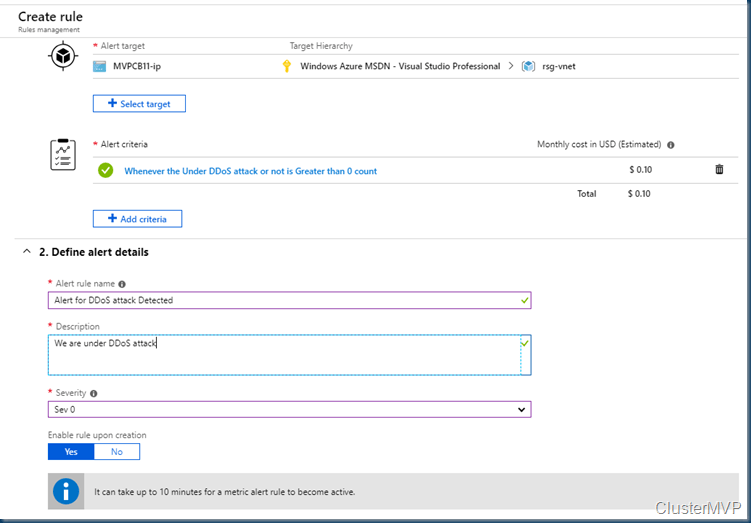 For a demo I turned it on and forget to turned it of and spend 10K in 4 months so keep a track on your Azure costs. 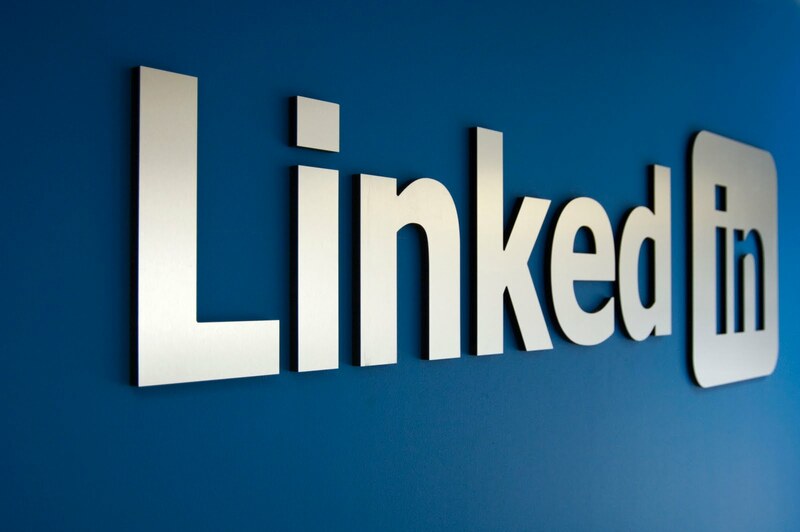 The DDoS Protection service will have a fixed monthly charge, as well as a charge for data processed. The fixed monthly charge includes protection for 100 resources. Protection for additional resources will be charged on a monthly per-resource basis. 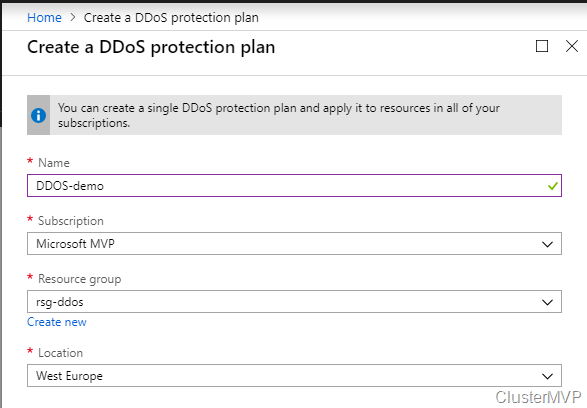 When Enabling the DDoS Standard we need to create a DDoS protection plan first, if you have already one you can add the ID. Now that the DDoS and the plan is in place we can create an alert rule in case we have a DDoS attack. 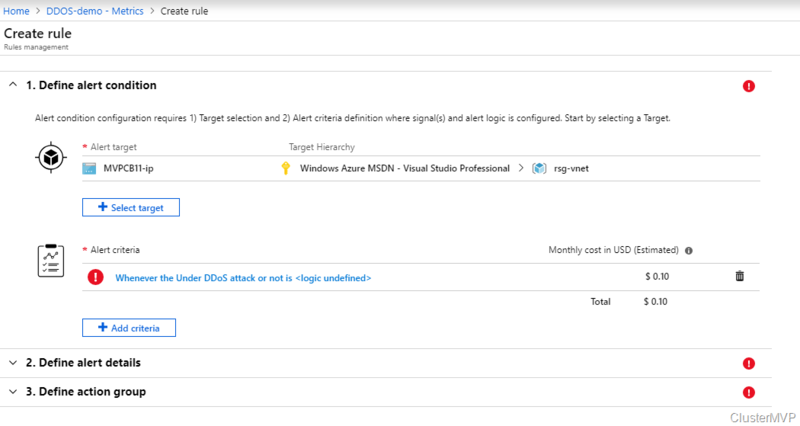 In the Azure Monitor we can create the alert rule and we can see the logging. 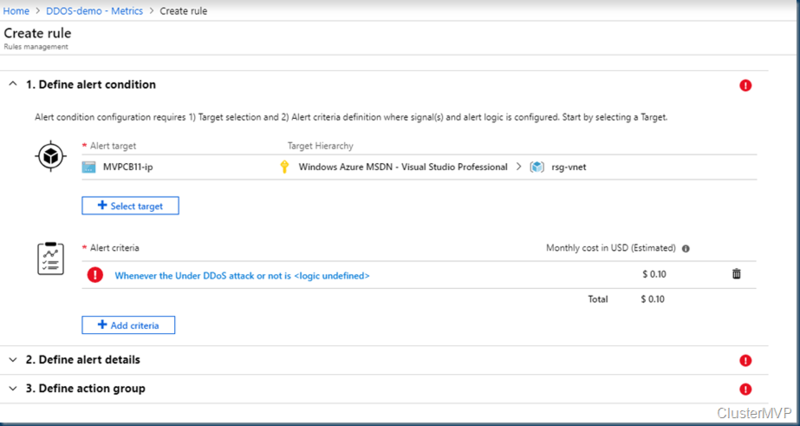 To see telemetry for a DDoS attack, log into the Azure Portal and navigate to the “Monitor” blade. 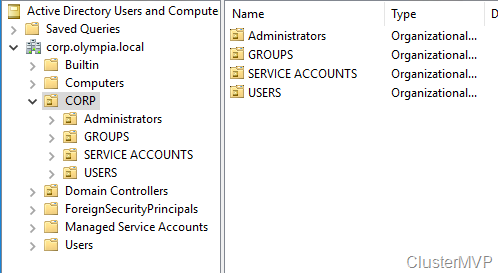 Within the monitor blade, click on “Metrics”, select the appropriate subscription, resource group, resource type of “Public IP” and the Public IP that was the target of the attack. 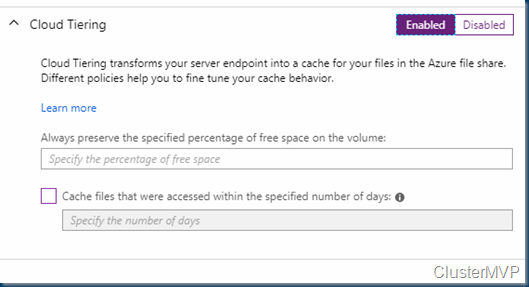 After selecting the resource, a series of Available Metrics will appear on the left side. These metrics are selected and then will be graphed. The traffic shown in the Monitor dashboard. To create a dashboard there are some options with counters. It all depends on your need. now we create an alert rule. 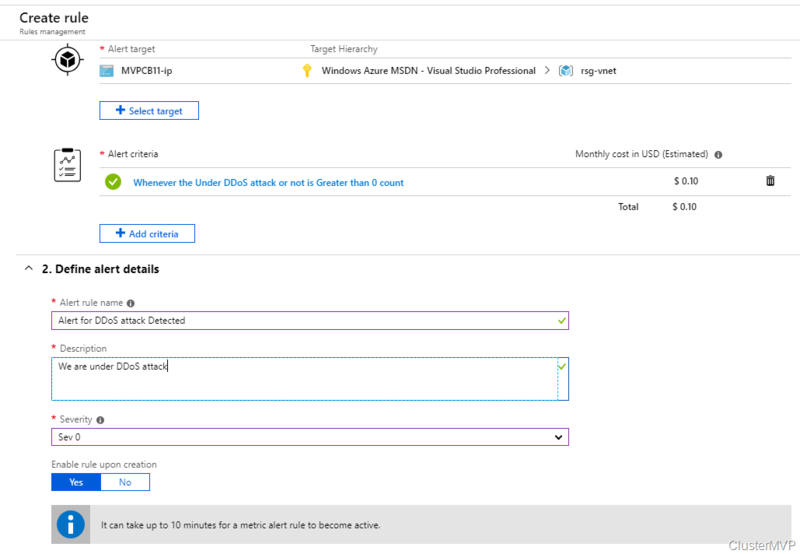 Email Alerting To configure an email alert for a metric, click on the “Click to add an alert” text. An email alert can be created on any metric, but the most obvious metric to create an alert on is “Under DDoS attack or not”. This is a boolean value 1 or 0. “1” means you are under attack. “0” means you are not under attack. 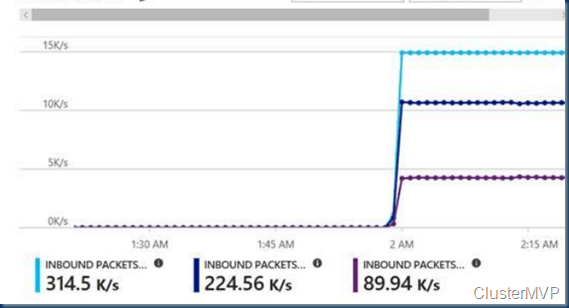 To be emailed when under attack, set the Metric for “Under DDoS attack or not” and “Condition” to “Greater than” zero (0) over the last 5 minutes. 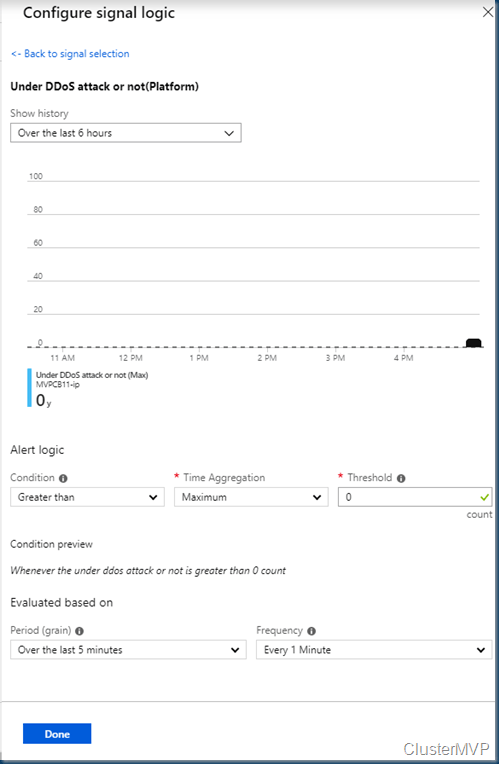 Similar alerts can be set up for other metrics. 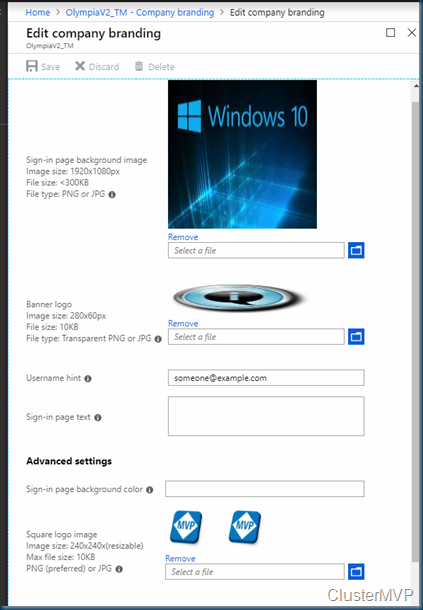 An example screenshot is provided below. Last part in selecting the email for this alert. 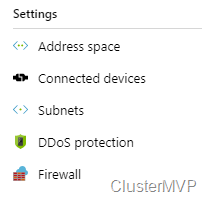 With this setup you got a good protection against DDoS attacks. below is the workflow how DDoS protection works. 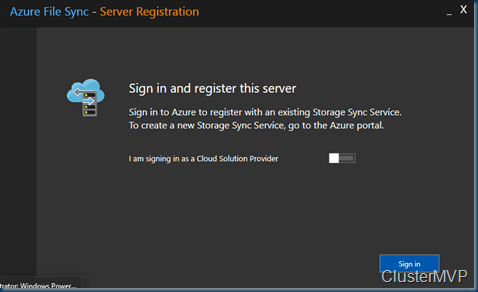 In the Azure portal every day there are some changes some are big others are minor. 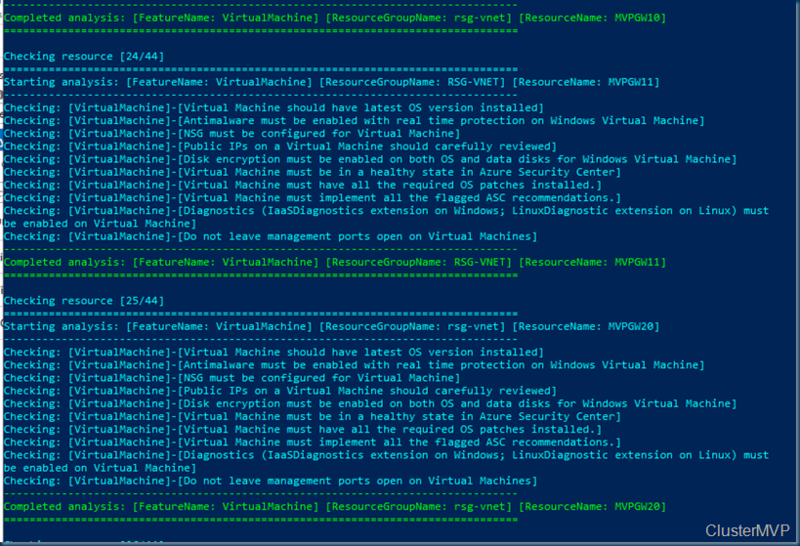 In this blog I show you the change in the VM creation. 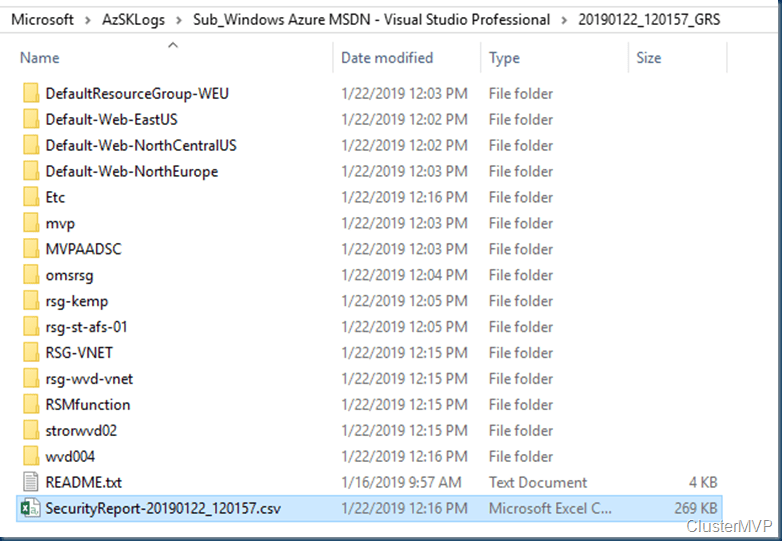 When Creating a NEW VM you can see the change now there are several tabs and the best part is you can jump forward with out filling in all the fields. Creating the NSG port rules. 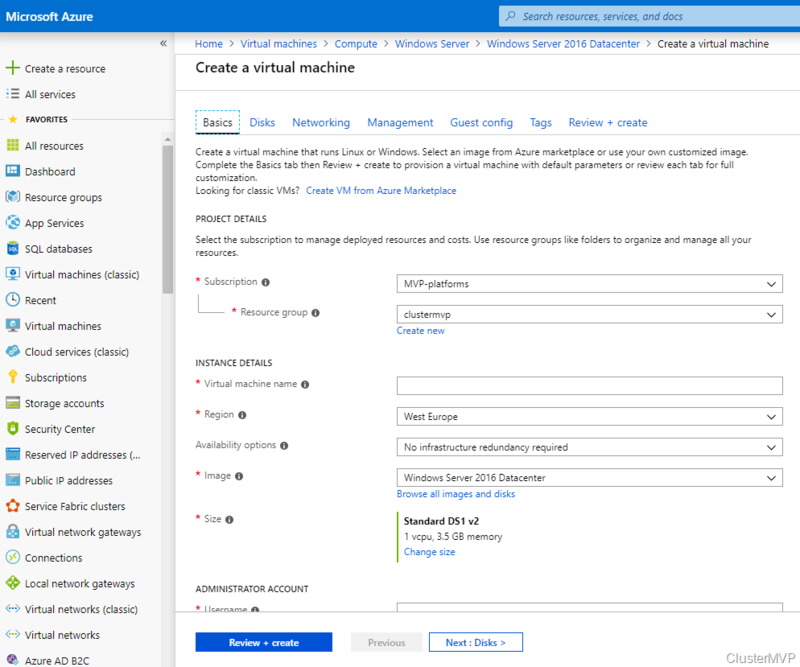 Select which virtual machine network ports are accessible from the public internet. 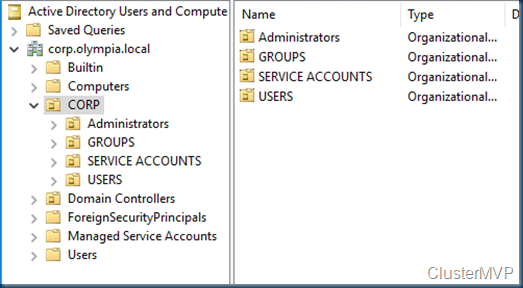 You can specify more limited or granular network access on the Networking tab. 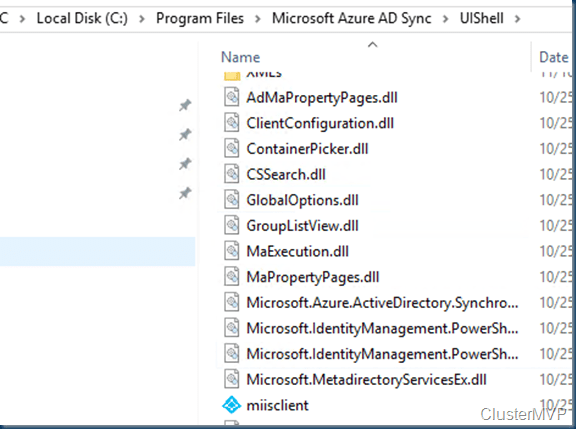 Azure AD Connect is the best way to connect your on-premises directory with Azure AD and Office 365. 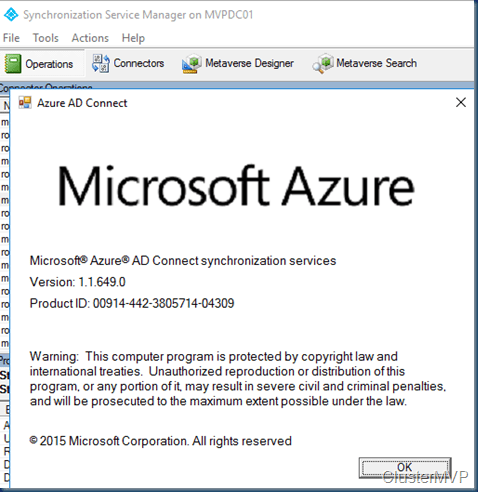 This is a great time to upgrade to Azure AD Connect from Windows Azure Active Directory Sync (DirSync) or Azure AD Sync as these tools are now deprecated and are no longer supported as of April 13, 2017. 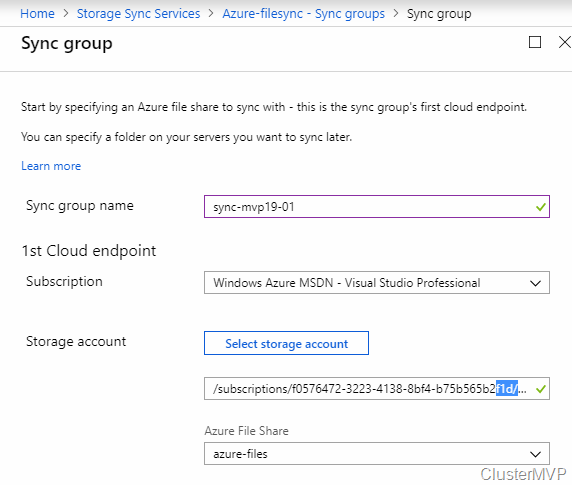 The two identity synchronization tools that are deprecated were offered for single forest customers (DirSync) and for multi-forest and other advanced customers (Azure AD Sync). These older tools have been replaced with a single solution that is available for all scenarios: Azure AD Connect. 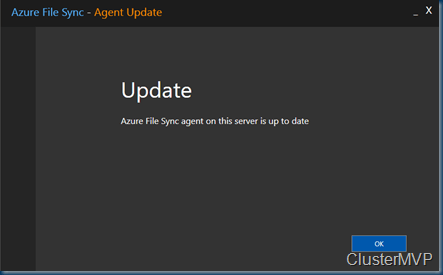 It offers new functionality, feature enhancements, and support for new scenarios. 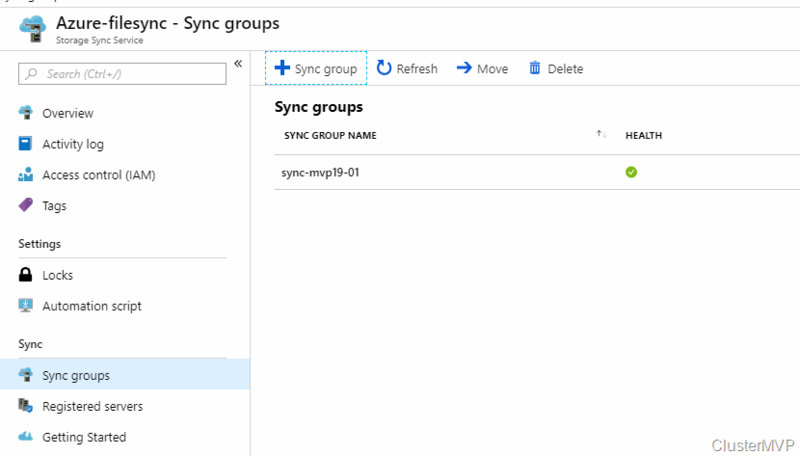 To be able to continue to synchronize your on-premises identity data to Azure AD and Office 365, we strongly recommend that you upgrade to Azure AD Connect. 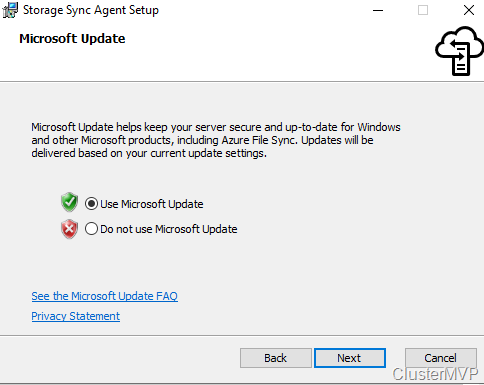 Microsoft does not guarantee these older versions to work after December 31, 2017. 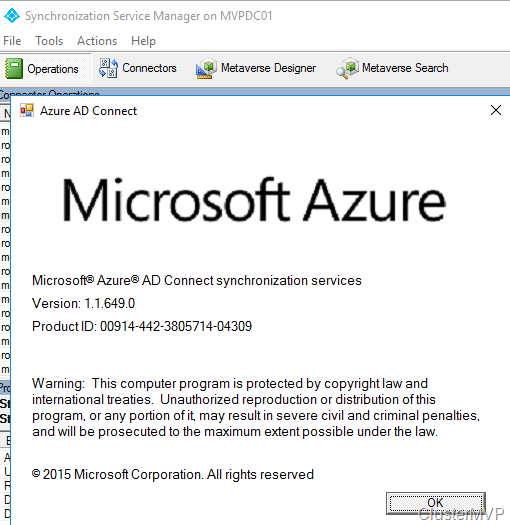 Remember Azure AD will stop accepting connections from DirSync and Azure AD Sync after December 31, 2017 Upgrade now to avoid downtime and start 2018 relaxed.